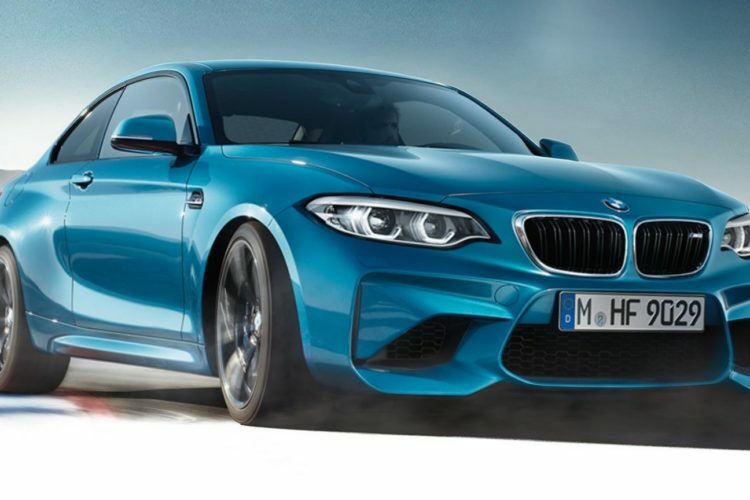 Earlier than planned, the first photos of the 2017 BMW M2 Facelift were published on the official website of bmw.be. 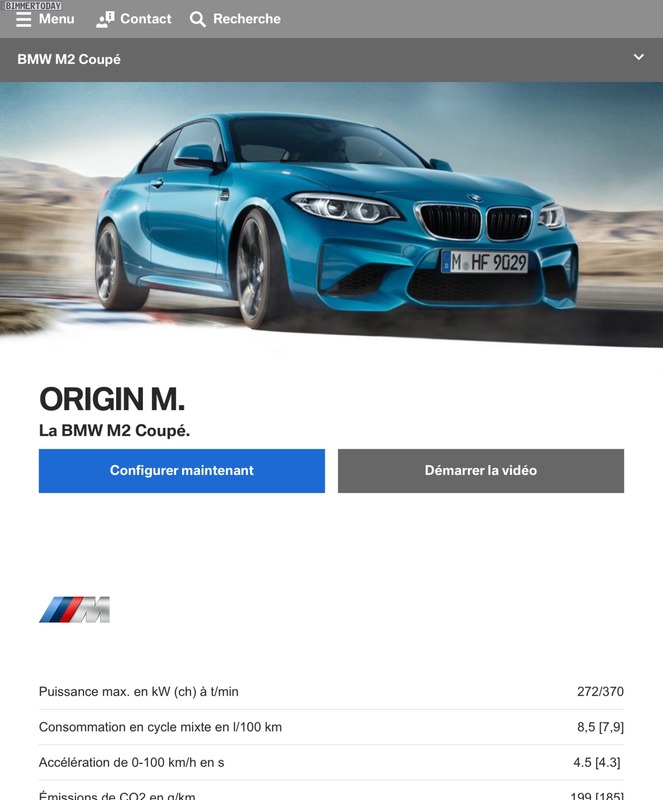 The BMW F87 M2 LCI is pictured in full splendor on the iPad version of the Belgian BMW site, showing some of the visual changes compared to the current model. 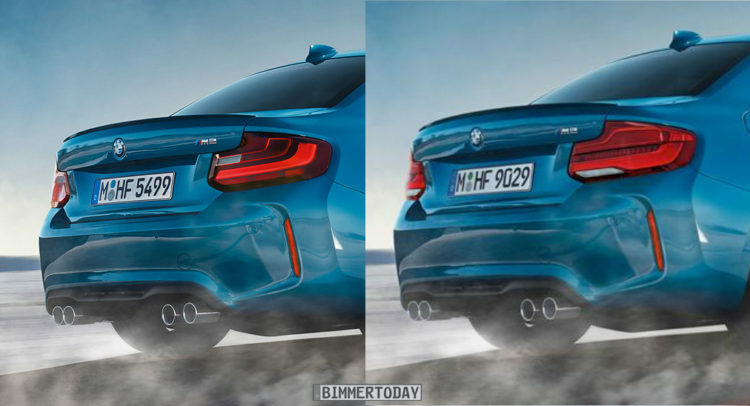 These images gives us a first glimpse of the new full-LED headlights of the 2017 BMW 2 Series Facelift, because, of course, the lighting technology will also find its way into the standard variants of the 2 Series Coupe and Convertible. The new design of the headlamp interior is reminiscent of the facelift of the 4 Series, the previously rounded corona rings are replaced by open and rather hexagonal shaped borders. The eyebrow at the top of the headlights seems to be more strongly emphasized than before. All in all, a more modern and fresh version of the typical BMW double-headlights, which has shaped the brand’s face for decades. The 2017 BMW M2 Facelift clearly does not have a horizontal LED bar in the direction of the kidney. A closer look at the taillights also reveals design changes. Homogeneous illuminated surfaces create a new night vision, as well as the white elements of the rear lights with the model stretch from the upper to the lower edge of the taillights. 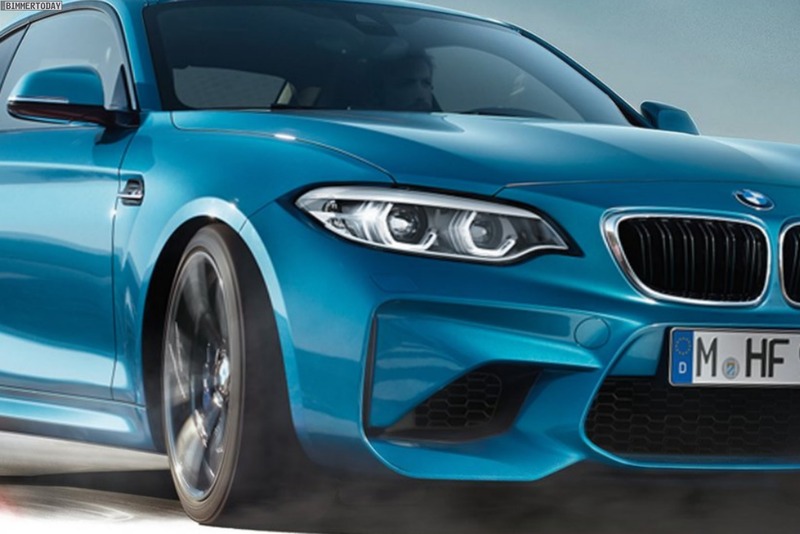 From a technical point of view, the 2017 BMW M2 Facelift will, according to our knowledge, not bring any significant changes to the driving experience. 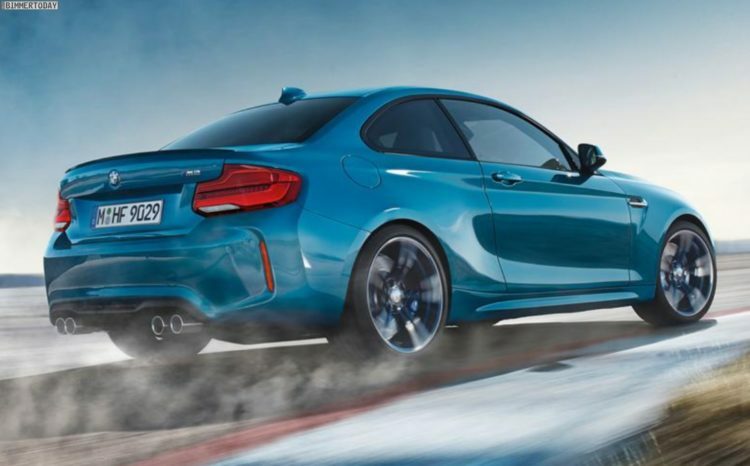 There will be 370 hp and the suspension will not be modified this summer – all performance-relevant updates will instead flow into the special model, which has been known for some time as a BMW M2 CS, to be launched next year. In the interior, the M2 is just like all other variants of the 2017 BMW 2 Series Facelift, will receive the latest iDrive generation with the main menu in tile design.